Tessa Duvall, education, children and families reporter for The Florida Times Union, recently spent time interviewing Bryan Gowdy, and his client Terrence Graham, for an article on Juvenile Life Without Parole sentencing in Florida and Duval County. To read the full article, click here. With the assistance of Meredith Ross, Jessie Harrell convinced the Court of Appeals of Georgia to reverse a summary judgment entered by the trial court against an injured railroad worker. The appellate court found that a jury should be allowed to determine whether the railroad was responsible for the worker's back injuries, and specifically found that he could bring a claim under the FSAA (Federal Safety Appliance Act) when the drawbar of an automatic coupler malfunctioned by failing to move with normal force. read the opinion here. Rebecca Creed will speak at the Continuing Legal Education Florida Justice Association' s Offers of Judgment: Proposal for Settlement Webinar on Friday, October 14, 2016. Rebecca Creed will be presenting how to draft an Airtight Proposal For Settlement. For more information about this webinar, click here. 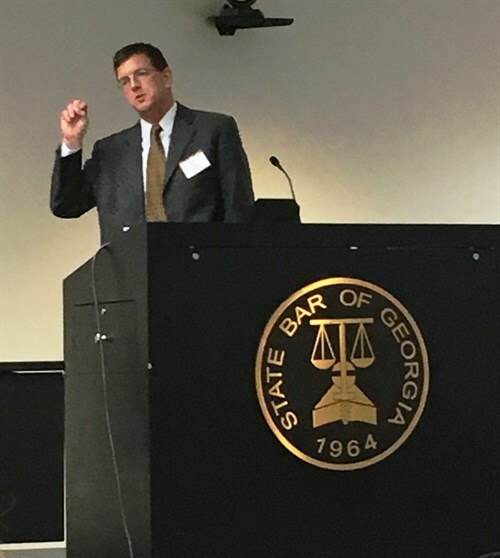 Bryan Gowdy will present at the Eleventh Circuit Appellate Practice Institute in Atlanta, Georgia taking place October 27-28, 2016. Bryan will moderate a panel on Brief Writing and Reading and Use of Technology. For more information about this seminar, click here. Bryan Gowdy argued in the Florida Supreme Court Wednesday, October 5, 2016 against the federal patient-safety law that shields Jacksonville hospitals from disclosing important records during a medical malpractice case. The News Service of Florida recently wrote a short article on this oral argument. To read the article, click here.